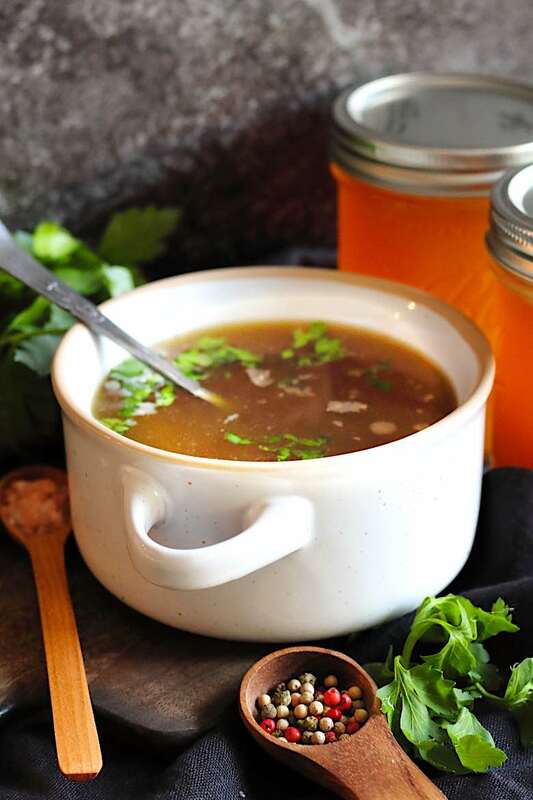 Fast and easy, this homemade Keto Bone Broth made in an Instant Pot is filled with an unbelievable huge amount of health benefits one soup can offer. This needs to be in your kitchen at all time, prepared for any occasion. Use it for fasting days or when you need to concentrate on your weight loss. 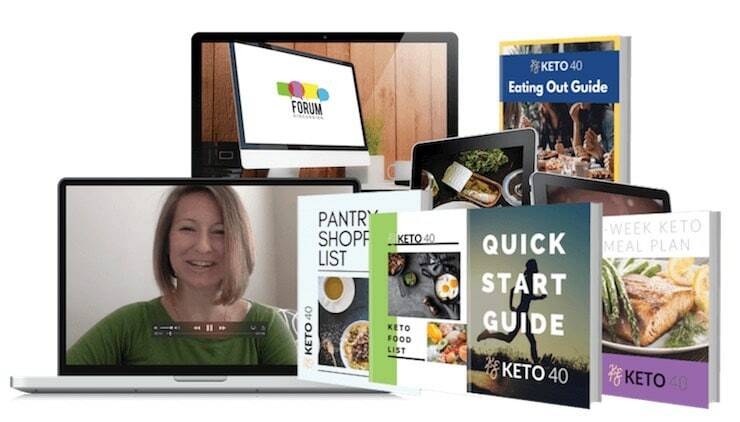 Have it ready to prepare special Low Carb sauces, different types of Keto soups, gravy, marinates, stews. Add it into a stuffing or make Cauliflower rice with it to give a perfect taste and flavor. Bone Broth is a stock or a soup, which contains brewed bones and tissues that are either cooked for a very long time or pressure cooked for a faster way. By cooking the bones, collagen gets extracted and is then used for the benefits we all crave for so much. Due to this process, the outcome of broth or a stock gives us great health benefits and therefore it is extremely popular and used for so many dishes. Bone Broth is the perfect way to start a journey into transforming your lifestyle. Whether you are looking to completely change your eating habits or you just need to lose a few pounds or kilos, the bone broth will support you the whole way. 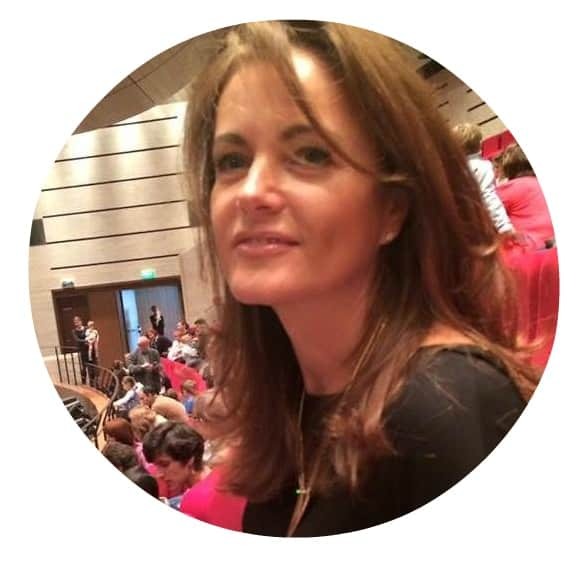 I even give great importance to starting with bone broth, if you are just a complete beginner into Keto or Low Carb Lifestyle. You can read more about it in our How To Start with our lifestyle. Whether fasting, weight loss or a full transformation, bone broth during the first few days helps you compress the cravings. It replaces your usual food choices, but still giving you the number of minerals and electrolytes so much needed during the process. Bone broth works perfectly against fighting the keto flu, which can appear for some individuals. Keto bone broth for breakfast? Maybe this is something, you have never heard, but it is more and more popular to have a lovely cup of bone broth first thing in the morning. This helps you to start your day healthy and gives you so much needed nutrition throughout the day. I love my cup of broth in a coffee cup for example. Worth trying. Not to forget, I love my soup spicy, so every time I warm up the broth in my cup, I always add a few dry pieces of Capsicum paprika. That’s all I need to freshen up in the morning. And as we all know anything spicy helps with your metabolism to work faster and brings us to our goal of losing weight much closer than expected. How to make homemade Keto Bone Broth? There are 4 main ways you can achieve the results of a perfect homemade bone broth in your own kitchen. This was actually the way I have made our bone broth for years. I have prepared it all and let it simmer for 12-24 hours, sometimes even 2 days. One disadvantage for us was, that our stove is programmed for safety to switch off after a certain time. So I used to wake up some days with my bone broth being switched off, but still pretty warm. In that way, I just switched it back on and continued simmering for as long as needed. With using a slow cooker, you will achieve the exact same results as you would on a stove. The only difference I would say is the advantage of having it all under control. And especially not having to worry, that stove might switch off on its own after a while. Get an Instant Pot. Here you can cook your Bone broth either as a slow cooking option, or a pressure cook option. Plus you can even saute the bones before starting with your soup, which is a great advantage as well. So which one is your way? Or which one would you prefer? Since I have got my Instant Pot, this is the most used recipe. I love the way how easy and fast this is. And you do not have to take care of anything. Just prepare it, switch it on and leave. When you come back your super trooper Keto Bone Broth in an Instant Pot is done and ready. It is extremely easy. Even by sauteeing the bones in it gives you much fewer dishes to clean. Really magic I would say. In this recipe, I have used bones from beef, for a great taste as well as benefits. I normally go to a butcher and ask him for some bones and knuckles, which he then still cuts it for me into smaller pieces. It is also good when you ask him to leave pieces of meat in since that adds even more nutrition to it. Also, you could try to get bones with marrow inside. I just love to eat the marrow afterward with just a slice of our Keto Farmers Bread. It is lovely salty gelatine like and one of the healthiest parts you can ever get from the bones itself. I have seen so many people using also leftover bones from their dinner. I have not tried it myself, but as it is great to saute your bones, this might be a great option if you like. Can you use Chicken bones for Bone Broth? Yes, and that is another perfect broth to have on hand. Chicken stock or chicken broth has got a great advantage especially when you are fighting the flu. My mum and now me as well, every time someone gets sick, the first thing we do is cook a Chicken Broth. In the case of chicken, it is best to use chicken feet, as they contain the highest amount of collagen. This works perfectly for Keto flu as well. 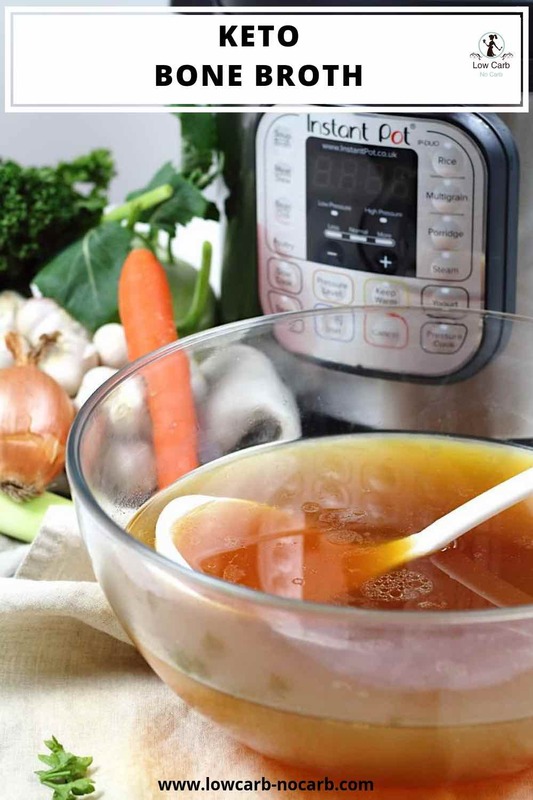 Is instant Pot Bone Broth as healthy as Slow cooked Bone Broth is? The answer to this is: Absolutely yes. It is as healthy as if you cook it slowly for 24 hours. 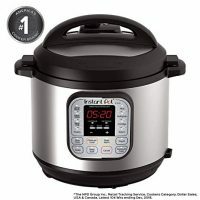 The advantage of a Pressure cooker or using Instant Pot in a Pressure mode is, that everything works sealed and under pressure, which not only makes your broth faster but as well will seal in all of the minerals and vitamins. So very much yes. It is as healthy as if you would cook it for 24 hours, if not even healthier. 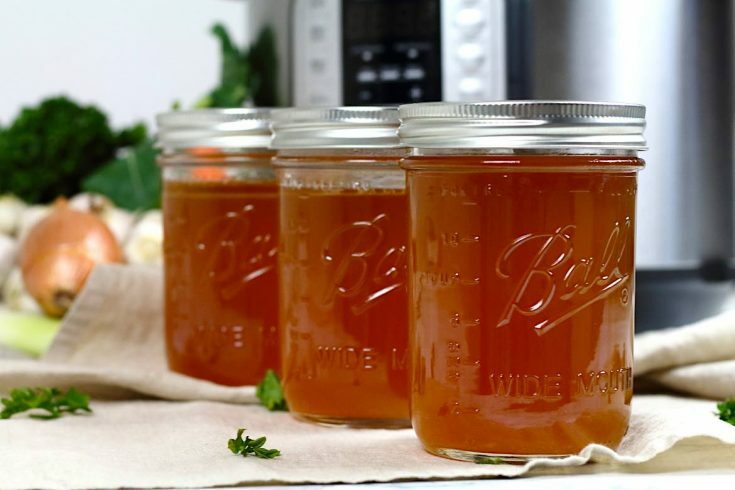 How to achieve the jelly texture in Bone Broth? To get the most collagen from the bones itself and to achieve the best gelatinous texture and rich taste, it is great if you saute your bones before switching it into a soup mode. Also, less water you add, more gelatine you will get from the bones. So in general more bones and cover it with water just so the bones are covered. Plus do not forget to sautee them beforehand. Why Add Vinegar to your Bone Broth? 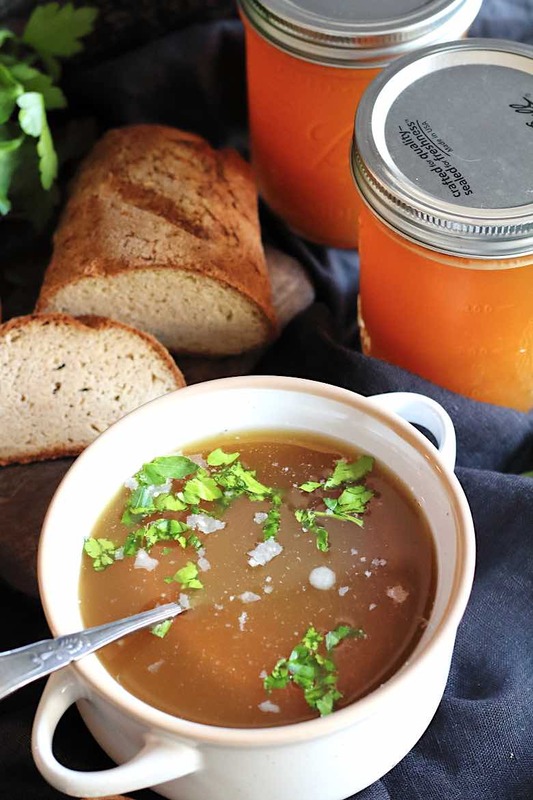 By adding vinegar to a bone broth, you do not have to be worried about tasting the soup sour. It is only a spoon but works wonderfully. Vinegar helps to extract all of the minerals from the bones. If you do have a slight worry, use the mildest vinegar you can find, or use lemon juice. They both work for the same benefits and gives you the same results. 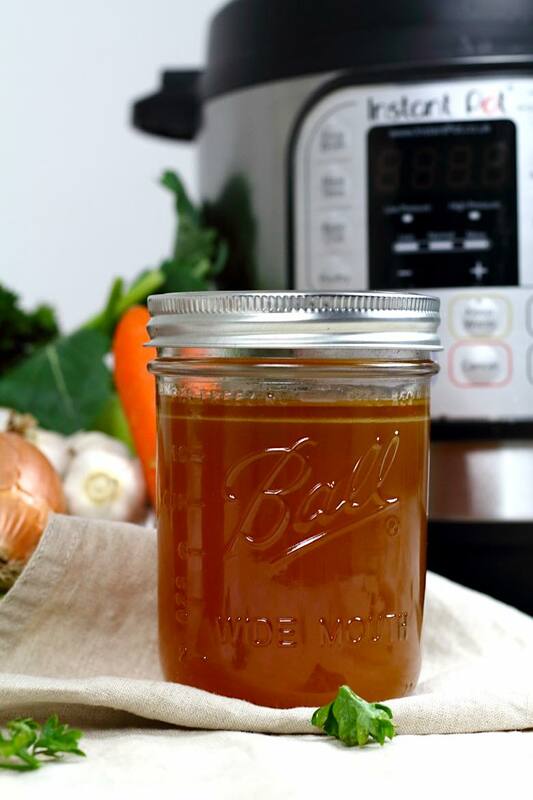 As I have experienced already, I would say, making a bone broth in an Instant Pot is really the easiest, healthiest and fastest way possible. You use one pot for Sauteeing the bones, adding veggies, water and all and cooking it all in mere 2 hours. 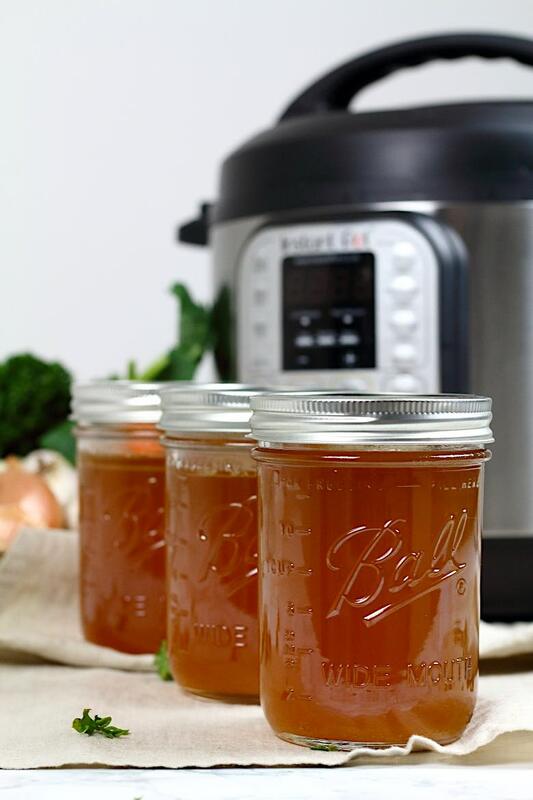 There is nothing easier or faster on how to achieve the best gelatinous bone broth, then using your very own Instant Pot. And if you do not own one, I would greatly suggest purchasing one. Because that is one gadget, which helps you to prepare the perfect meals in no time. 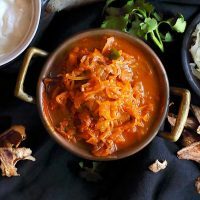 And as we all need recipes, which are the easiest and fastest to make, Instant Pot is there to help you to get there. How to store Keto bone Broth? Once you make your broth, let it cool. I always suggest running the whole broth through a sieve with a muslin cloth to get the clearest broth possible. You can store it in the fridge up to 4-5 days and use it as needed. I normally place it into a mason jar, which gives me the perfect portions, I need. What about the fat over the soup? Once the soup is fully cooled, which normally takes about 24 hours, you will realize on top of it a white film substance hardens. That is fat, which has been cooled and formed together. It really depends on you, if you want to incorporate it into your dish once heated up again or take it out. I normally just take it out and not use it. Once it is cooled, it is much easier to get rid of the fat, since it is in pieces. Gently placing a tissue on top of the pot, will help you to catch even the small pieces of fat, if that is what you are aiming at. Can you freeze Bone Broth? Definitely yes and that is what I do most of the time. As already mentioned, I separate the broth into Mason Jars. Leave it opened on a kitchen desk to coll down. Later on, I close the Mason Jars and place them into the fridge to coll properly till the day after. The next day, I keep a few Mason Jars in the fridge to use for the next few days and the rest I store into the freezer. In that way, we have bone broth ready for whatever we need to use it. You can also freeze the bone broth in bigger ice molds, let it freeze and then transform it into a bag for smaller portions if you need to use it for sauces or marinate. 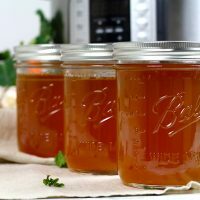 I normally do not do this, since we consume the bone broth on a regular basis and once I take out one Mason Jar from the freezer, it is always being used for something within few days and never really gets wasted. 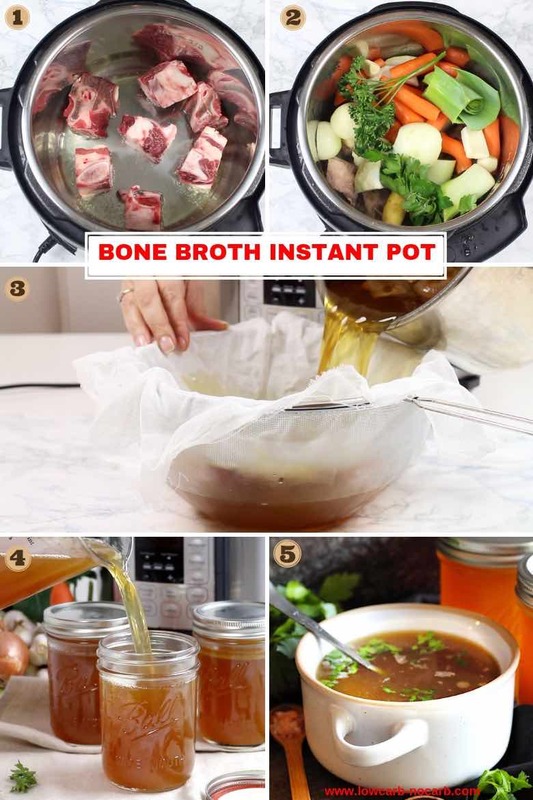 As I see, I have hopefully covered everything there is about the super health benefits and uses of bone broth and now it is the time to come to the recipe part. 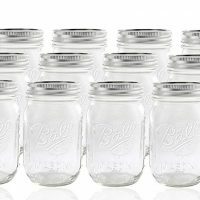 Use it immediately or separate to Mason jars for later usage. 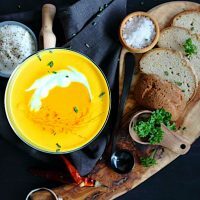 Easy to make This Low Carb, Gluten Free and diabetic Roasted Pumpkin Soup Recipe is a great addition​ to ever popular autumn​m cooking.